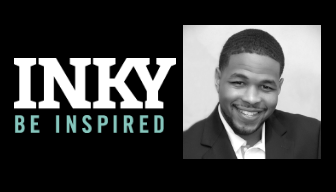 Inky Johnson is a football celebrity from Knoxville, TN. Growing up, Johnson had always wanted to play professional and he was making that dream a reality, until September 9, 2006. Johnson attended the University of Tennessee where he played defensive back for the Vols football team. During his football career, Johnson played in a total of 21 games and started 6 of them. September 9, 2006, started out as a regular football game between Tennessee and Air Force. This game changed Johnson’s life forever as a routine tackle turned into a life-threatening injury that made his right arm paralyzed. While the injury ended Johnson’s playing career, it did not kill he spirits. So, who is Inquoris “Inky” Johnson? He could be described as the survivor of an underprivileged past. He could be described as a refugee of poverty and violence. He could be described as a success story stained by tragedy. But if you look deeper, you’ll discover something else. You’ll see a man who looks in the face of defeat and says, “Am I really failing, or is God prevailing?” You’ll see a man gripped by the promise that God has purposes and plans far beyond our own. And you’ll be inspired by his relentless determination, which he loves to impart to others through his dramatic story. He wrote a book titled Inky: An Amazing Story of Perserverance and Faith. Inky has a master’s degree in sports psychology from the University of Tennessee. He devotes much of his time to mentoring athletes and underprivileged youth, and giving motivational speeches to a variety of people. He and his amazing wife Allison live in Atlanta, Georgia with their beautiful children, Jada and Inky Jr. Please email EO Knoxville events team with any question or concerns.